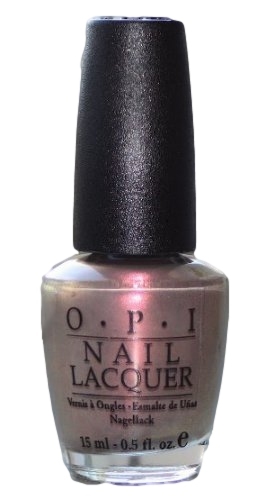 OPI Nail Polish, Nutcracker Sweet Nail Polish, SR2L1, .50 fl. oz. Semi-sheer taupe shimmer nail color with subtle duo chrome effect that flashes pink and copper.